Friday, October 23rd, 5:30-7:00 pm remarks by Frank Walker with an opening reception for 'I Dedicate this Ride' will be held in the honor of African Americans and their contributions to the equine industry. The reception will take place at the Lyric Theatre from 5:30p-7p. 7pm Opening night of 'I Dedicate this Ride' will take place following the reception and is Pay-What-You-Can admission. Exhibit will be open in the Gallery. The University of Kentucky Community Engagement Office is the presenting sponsor of the evening. This FREE and open to the public event will highlight the accomplishments of Frank X Walker, Dr. Pellom McDaniels, the Black Turf Project crew, and the Mustang Troops. The evening is designed to stop and account for the past, present, and future cultural and economic contributions these individuals and groups have made to the local equine industry. Saturday, October 24th,7:00 pm 2nd performance of Frank Walker's play 'I Dedicate this Ride' with Pay-What-You-Can admission price. Exhibit will be open in the Gallery. the global movement for food that is good, clean and fair!! Twin brothers Irucka (Nashville) and Obiora Embry (Lexington, KY); their mother, Dr. Deborah Mapp–Embry (Louisville, KY); their aunt, Ivy Barksdale (Lexington, KY); their father, Jim Embry (Richmond, KY) and their grandfather, James Mapp (Chattanooga) will read from and sign their books. Jim Embry will also exhibit photographs from his travels to Terra Madre and around Italy. 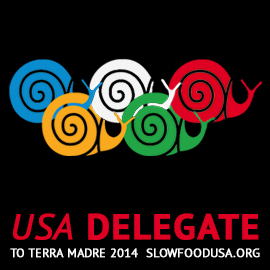 Terra Madre Delegate: I have been selected to represent the USA and KY as a delegate to Slo w Food’s Terra Madre/Salone del Gusto held in Torino, Italy, Oct. 23-27. In total, more than 500 people applied to be part of the US delegation, but only 240 were chosen nationwide and five persons from Kentucky. So I am absolutely thrilled and honored to be part of this delegation. 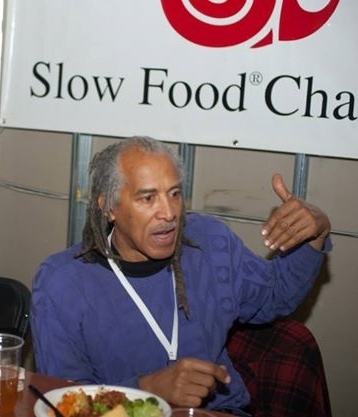 Slow Food is an international movement that involves millions of people dedicated to and passionate about good, clean and fair food that includes chefs, youth, activists, farmers, fishers, educators, musicians and business people in over 150 countries; a network of around 100,000 Slow Food members linked to 1,500 local chapters worldwide, and 2,000 Terra Madre food communities who practice small-scale and sustainable production of quality food around the world. 1 November TBD-Berea College; UK Design School; Bluegrass Youth Sustainability Council; Growing Power Small & Urban Farm Conference in Milwaukee. Invite me to speak to at schools, faith congregations, community groups, civic clubs, or conferences. Ten Thousand Gardens in Africa: we have gardens in 25 African countries and encourage USA communities to adopt a garden. Slow Food Companion Guide; Slow Food Almanac 2013; The-Slow-Food-Story by Goeff Andrews; Terra Madre by Carlo Petrini & Alice Waters. KET’s-Kentucky Life with Jim Embry. For Jim Embry, a community garden is more than just a source of food and beauty. He believes that gardening has the power to change the world. A social activist since his youth in the 1960s, Embry believes that community gardening is the most important social movement in the country. Through workshops, tours, presentations, and service projects, Embry connects community gardeners—from the private and public sector—to the earth and each other. Dave Shuffett visits with Embry in Lexington and looks at several community gardens. Community gardens are located in city parks as well as on school grounds and even in road medians. Local governments promote community gardens as a way to provide fresh food for low-income residents and to beautify the area. Gardens also improve the environment: In Lexington, a rain garden of trees and perennial flowers at Limestone, Vine and Main streets catches rainwater. Embry, who holds a degree in biology, served as executive director of the Boggs Center to Nurture Community Leadership in Detroit for four years before returning to Kentucky in 2005. He has been a three-time U.S. delegate to Terra Madre, a biannual gathering in Italy for members of Slow Food International. On the third Friday and Saturday of February, the Embry families of Central Kentucky and Tennessee are hosting an event to remember! You (and your family) are invited to attend the Embry Family Book Signing & Art Exhibit: 21st Century Thinking & Reimagining at the Lyric Theatre in Lexington, KY.
On Friday, you can view photographs taken by father Jim and son Obiora Embry, and paintings by Bessie Johnson. Come back Saturday to purchase books signed by authors Dr. Deborah Mapp-Embry and her two sons Irucka Ajani and Obiora Embry. Along with their books, a family cookbook will be sold, there will be performances by spoken word artists Tiffany Bellfield and Vibration Kunvorted and a musical performance by Vaughn Gillispie. And you can continue to view the photographs and paintings. For more information about the event and/or to learn more about the participants, go to www.embrybooks.org. Embry Family Book Signing & Art Exhibit. Across the United States, in urban cities in every state, people have returned to growing and raising food for themselves as a means of employment and or survival. 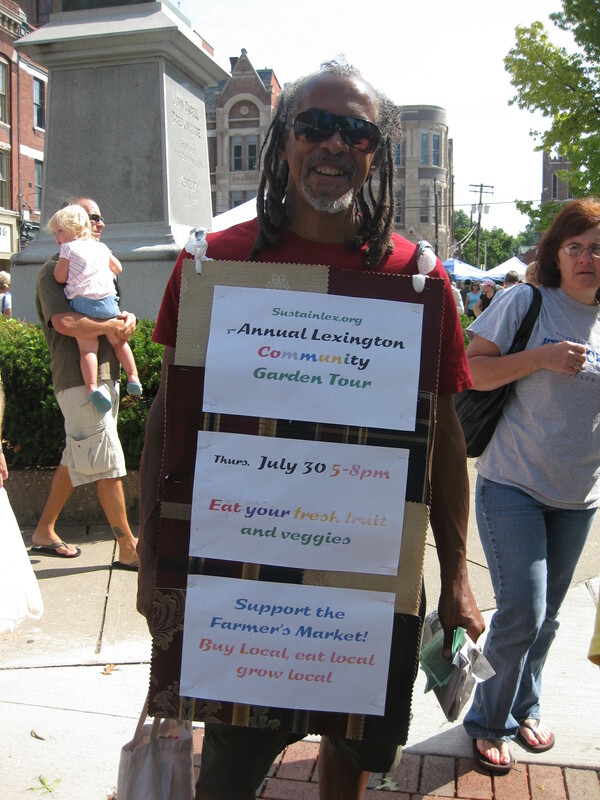 All over the nation, Blacks have been at the forefront of the urban farming movement and Lexington is no exception. Jim Embry has been educating people world wide and working to build gardens across the Bluegrass since 1968. Embry will lead the 5th Annual Bluegrass Local Food Summit March 22-24 at Crestwood Christian Church 1882 Bellefonte Dr. The Summit will attract local food growers, elected and government officials, educators, institutions and other community members to discuss the food system. Local Blacks must attend this summit. Even if you do not consider yourself a gardener, farmer or food activist, there is much to learn and use during this event. “Well the life and legacy of our esteemed brother and most humble American scientist, Dr George W. Carver, is my most inspirational story about participation in urban or rural agriculture. All of the efforts that we see now for local food, organic food, biodiversity, biodiesel for automobiles, sacredness of nature, eating healthy, ALL of these directions of action and thinking is what Carver encouraged us to do. If only we had listened! Now even though he pointed the way for what we are doing now, he gets little if any credit for this good food movement. Embry is looking forward to welcoming more Blacks from Central Kentucky to the event this year. “Caring about food has spiritual, economic, cultural incentives,” explains Embry. “On a spiritual, Christian, Islamic and Jewish faiths have within the sacred texts passages about humans being made from clay or dirt or what we call compost. Working to plant, grow, harvest, eat and compost is all spiritual work. Economically we can save money on food expenses by planting some of our own food. Culturally, we should regard our bodies as temples and should then consume the kinds of foods that are deserving of being in a temple. Eating is an agricultural act. So since everyone eats then we should be concerned about our relationship with food. I encouraged our [community] in Central KY to get involved in the good food revolution, grow a garden and attend the Bluegrass Local Food Summit. This Summit will provide inspirational speakers, workshops on gardening, composting, films and much more. Key Conversations Radio has partnered with Pepsi to sponsor a Rain Barrel Workshop during the Summit on Saturday, March 24. Participants will build a rain barrel and leave with it, ready to catch fresh water for gardening. The $20 workshop cost will be a contribution to SustainLex. For more information contact Jim Embry at embryjim@gmail.com or see this workshop ad on page 12 of the march 1st issue of the Key Newsjournal. Jim-Embry-2010-Garden-Crusader Jim Embry, Director of Sustainable Communities Network named finalist in Education believes that community gardening is the most important social movement in the country. "The climate is changing and that is because we are disconnected from the Earth," he says. With a lifetime of experience as a social activist, Jim is now working to connect community gardeners to the earth — and to each other. "In the garden, adults and even very young children, learn about patience and discovery and not to be afraid. Gardens teach citizenship and stewardship," he said. 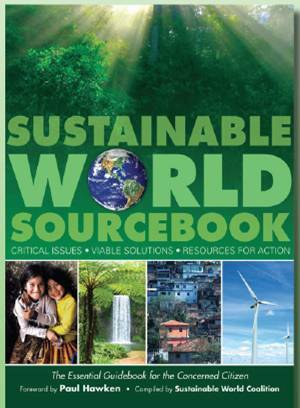 "For the last generation, the focus has been on computer literacy; now it's time for the focus to be on eco-literacy."